We were most impressed with every aspect of this installation. The quotation was highly competitive and there were no hidden extras. Work began and ended exactly on schedule with regular inspections. We are delighted with the results and the playing surface exceeded our expectations. 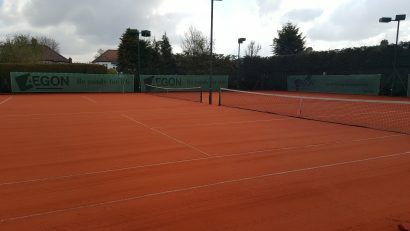 The courts look superb and our members are keen to play on them. Maintenance has proved to be very simple and the ‘mess’ we feared might be trodden into the club areas has been non – existent. Euroclay could not have been more patient, helpful and generous with their time in answering all our questions. They are clearly the experts in their field and I would recommend them with no hesitation whatsoever. Cranston Park Lawn Tennis and Social Club, Upminster.